Pittsburg, PA Commercial Real Estate - Carrie S. Holstead Real Estate Consultants, Inc.
Carrie Holstead has spent some thirty years working in corporate real estate. As the founder, president and CEO of Carrie S. Holstead Real Estate Consultants, Inc. in 1989, she is a leader in tenant representation and owns the longest established and first woman owned tenant representation firm in Pittsburgh, Pennsylvania. Her firm is the exclusive Pittsburgh affiliate of ITRA Global, one of the largest organizations in the world dedicated to representing users of corporate real estate, with experience in nearly 300 markets around the world. In addition to serving as chairman of the Global Business Development Committee, Carrie was elected to the ITRA board in 2009 and served until 2014 in the capacity of director, then secretary, treasurer, vice chairman and chairman. For 2015, Carrie was elected chairman emeritus of ITRA Global and will work with the board of directors to accomplish its goals of becoming known globally for providing unbiased advocacy on behalf of corporate tenants and buyers, as well as a thought leader in the commercial real estate industry. 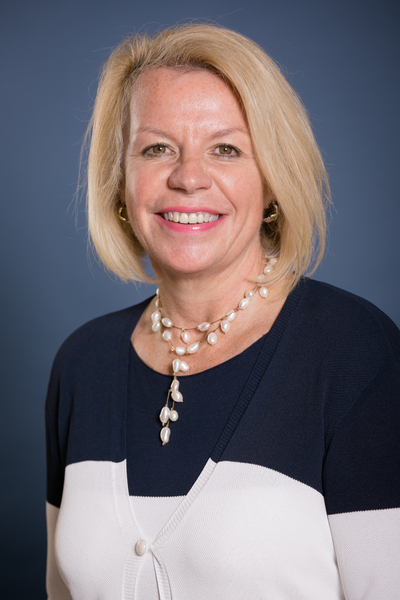 Prior to establishing Carrie S. Holstead Real Estate Consultants, Inc. in 1989, Carrie worked for Cushman & Wakefield of Pennsylvania and as the director of leasing for the Soffer Organization, a Pittsburgh based developer and owner of commercial real estate. Carrie is active in the Pittsburgh community and has been recognized as one of Pittsburgh’s finest, based on her professional achievements and community involvement. She has also been named a “Top Power Broker” by CoStar; recognized for having generated the most transactions finalized in cooperation with ITRA offices; is the recipient of the Award of Excellence for her international work; has been featured in the Pittsburgh Business Times list of largest real estate transactions; and has received acclaim for the monthly Insider’s View To Corporate Real Estate she publishes. Additionally, Carrie is graduate of the Pennsylvania State University and Leadership Pittsburgh, and is also a licensed real estate broker in Pennsylvania. Her recent guest appearances on television include interviews for “Our Region’s Business” discussing “How The Pittsburgh Commercial Real Estate Stacks Up On A National and International Basis”, another revealing “The Importance To The Region’s Economic Growth of Having The ITRA Global Conference in Pittsburgh in 2012”, and most recently “The Impact of the Oil and Gas Industry on the Commercial Real Estate Market In Pittsburgh”. Additionally, she has been a keynote speaker at the Allegheny County Bar Association, Association of Corporate Counsel, NAIOP of Western Pennsylvania, and at a number of ITRA Global Conferences. Clients range from entrepreneurial entities to Fortune 500 companies and include Columbia Gas of Pennsylvania, EOG Resources, Electrolux, Forever, Imani Christian Academy, J&L Specialty Steel, The African American Chamber of Commerce, The HDH Group, Leadership Pittsburgh, Lanxess, MMC&P, Perkins Eastman Architects, Pressley Ridge, Royal & Sun Alliance, Somerset Coal International, TimeSys, United Healthcare, Urban Design Associates, Veolia Water Solutions & Technologies North America, Wachovia, and Wells Fargo. The entrance to downtown Pittsburgh is like no other city in the world! From the airport, the beautiful rolling hills conceal the city until emerging from a tunnel just before entering the architecturally rich downtown surrounded by three rivers. Pittsburgh’s strong work ethic is reflected in its professional sports teams with the Steelers being the first football team to win six Super Bowls, the Pittsburgh Penguins Hockey Club winning three Stanley Cups, and the Pittsburgh Pirates being five times World Series Champions. Pittsburgh is strategically located within 500 miles of the majority of the United States population and buying income while having a cost of living that is among the lowest in the nation.